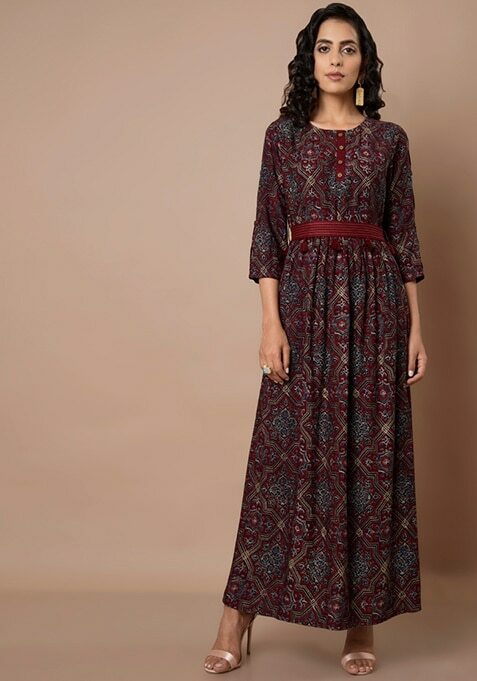 Featuring a fashion forward design, this maroon tunic is easy to style and comfortable to wear. Crafted from viscose, this tunic features baroque print all over. Comes with a maroon tasseled waist belt. Work It: Keep it stylish by pairing this tunic with ankle-length boots.